Prime Minister Justin Trudeau spoke by phone with U.S. President Donald Trump about NAFTA earlier this week. OTTAWA — Prime Minister Justin Trudeau will throw out a pitch for free trade in the heart of American baseball culture this morning. As a target date to complete negotiations for a modernized North American Free Trade Agreement looms later this week, Trudeau will kick off a three-day U.S. excursion with a commencement speech for New York University at Yankee Stadium in the Bronx. It will be the second time this year an audience of American students will hear from Trudeau directly on why the Canada-U.S. trade relationship is so critical for both countries and why NAFTA needs to be salvaged. He told students at the University of Chicago in February that tearing up NAFTA — a threat made repeatedly by U.S. President Donald Trump — would hurt millions of Americans. A Trudeau official says this week's trip is yet another chance for the prime minister to sell Canada and the Canada-U.S. partnership to an American audience. It is the 16th time Trudeau has taken a working trip to the U.S. since becoming prime minister in 2015. It is the 10th since Trump became president 15-months ago, vaulting trade and NAFTA to the top of the Trudeau government's priority list. Speaking to students is a comfort zone for Trudeau, said Sean Speer, a senior fellow in fiscal policy at the Macdonald-Laurier Institute and a former senior economic adviser to the prime minister's Conservative predecessor, Stephen Harper. 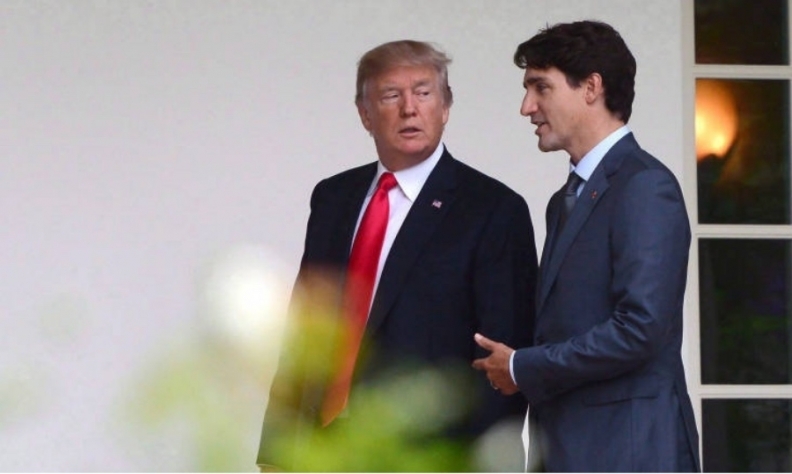 Speer said this trip is another example of Trudeau working to get his message through to Trump by lobbying all around him, including congressional leaders, state governments, or in this case, business executives and students. Speer said Harper used a similar approach when working to change U.S. policy on country-of-origin labelling but Trudeau has taken it to a whole new level. "I think they deserve tremendous credit for that," said Speer. "I think it's the right approach." Speer said he thinks the strategy is working and is "one of the most impressive accomplishments in the Trudeau government's first couple of years." Trump has promised to tear up NAFTA if a better deal for the United States can't be negotiated. The deal was first signed in 1994, and negotiations to modernize it began last August. The pace of talks sped up in recent weeks as political issues, including a looming presidential election in Mexico this July and U.S. midterm congressional elections in the fall, put pressure on the countries to reach a deal before it becomes politically impossible. Negotiators are working feverishly to strike a deal within the next week or two, before major obstacles could potentially arise due to the election of a new Mexican president or a Democrat-dominated Congress. Agreement on automobile manufacturing has been one of the biggest sticking points, but the dairy industry and pharmaceutical pricing are also proving to be trouble spots. Trudeau spoke by phone with Trump about NAFTA earlier this week.